This page not in use - items are for future use only. 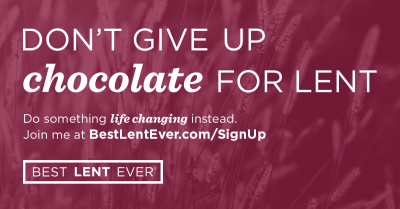 Don't just 'give up' this Lent - 'give in'. 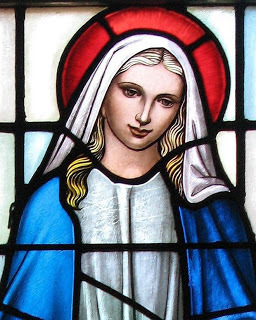 Give in to the special moments and graces this holy season offers. Click on the links below for more info. One of the daily readings with reflection and beautful music. Bring the kids for an Easter egg hunt on Saturday April 15th at noon on the church grounds. Light refreshments servied after in Fr. Patrick Morris Hall. Relive Jesus' great sacrifice of love for us as the young men and women of the Asumption/Corpus Christi Youth Group re-enact the Stations of the Cross. 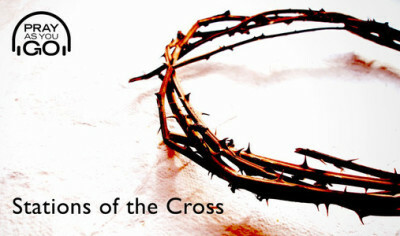 Come support our teens and experience the road to the cross in a profoundly spiritual way. 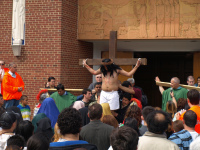 Want to know more about the services held during Holy Week? 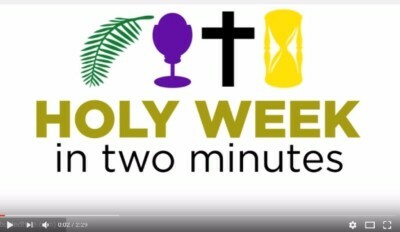 Click on the Holy Week in two minutes image to watch the Busted Halo video. John Tamborini once again guides us through Bishop Robert Barron's study program to discover who God is, why he matters and how we can turn the tide of secularism and draw people back to God.